Compiling this list of my favorite post-apocalyptic films was trickier than I expected. I’ve seen most of the signature movies in this genre, but some like The Omega Man and Logan’s Run qualify more as cheesy fun than top five quality. Also, some movies might incorporate a doomsday scenario but don’t primarily take place in this environment. For that reason, the first three Terminator films aren’t eligible for this list. The most recent installment in that franchise (Terminator: Salvation) fits the mold but won’t be anywhere near this list. Sorry, McG. I’ve also eliminated television mini-series like The Stand and the Battlestar Galactica reboot, which are both excellent examples. I’m confident that the five (actually six) choices rank among the most unique visions in this intriguing genre. This was the toughest part of this selection since a large group of movies seemed about equal in overall quality. I picked these movies because they represented original takes on a sometimes predictable genre. Based on the Cormac McCarthy novel, The Road offers a bleak look at life following a disaster that wiped out nearly everyone. It’s a rough viewing, but Director John Hillcoat and Writer Joe Penhall effectively present this awful existence. In the lead role, Viggo Mortensen brings humanity to the man who’s nearly lost his soul while protecting his son (Kodi Smit-McPhee). I watched The Quiet Earth for the first time during this marathon, and its mind-bending sequences and stunning ending really stick with you. Bruno Lawrence is strong as a guy who may be the last man on earth. Although the impact of Danny Boyle’s thriller has been diluted because of numerous imitators, this intense film remains a standout of the genre. 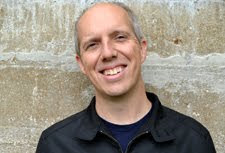 Cilian Murphy has rarely been better as a confused guy waking up in London to a world of vicious, fast-moving zombies. The story’s third act switches gears dramatically and places Christopher Eccleston and his military marauders as the main villains. This group’s actions are far more chilling than even the nastiest victims of the rage virus. During a 10-year period beginning in 1976, John Carpenter delivered an awesome run of genre films including Assault on Precinct 13, Halloween, The Thing, and Big Trouble in Little China. 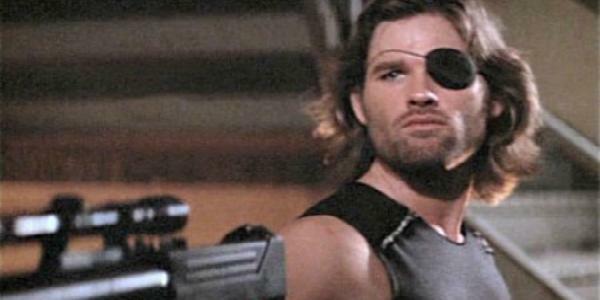 One of his best and most entertaining movies from that period is Escape From New York, which sends Kurt Russell’s Snake Plissken into a devastated New York City. Now a maximum security prison containing some of the nastiest denizens in existence, this city is no picnic. While trying to rescue the President (Donald Pleasance), Plissken faces off with all types of villains, including Isaac Hayes as The Duke. This is a must-see for anyone who enjoys B movies, Russell, or Carpenter. Alfonso Cuaron’s striking look at a future world where people can’t have babies anymore leaves a powerful impression. Although it earned acclaim in its original release, this movie’s reputation has justifiably grown during the past five years. Cauron delivers two stunning long takes that lift the material even further above its interesting screenplay. One car chase in particular is remarkable and ranks among the great “how’d they do that?” sequences in recent history. 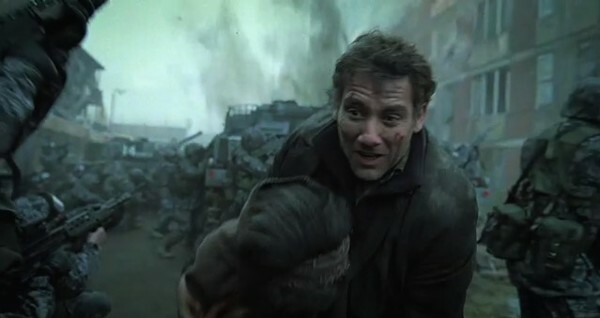 Clive Owen brings humanity to the lead role of Theo Faron, who tries desperately to save a miracle — a woman who’s actually pregnant. Chiwetel Ejiofor, Michael Caine, and Julianne Moore also perform well in supporting roles. I know it’s cheating to pick two movies, but these films are connected enough for it to make sense. 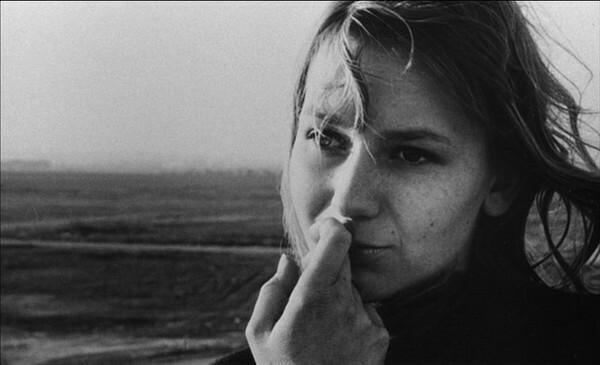 Terry Gilliam took the premise of Chris Marker’s wonderful short film La Jetee and crafted a big-budget sci-fi mind-bender. The original is composed almost entirely of still photographs but still tells a riveting time-travel story. Both films take place in a dead, post-apocalyptic world but send the hero back to the time before the destruction. 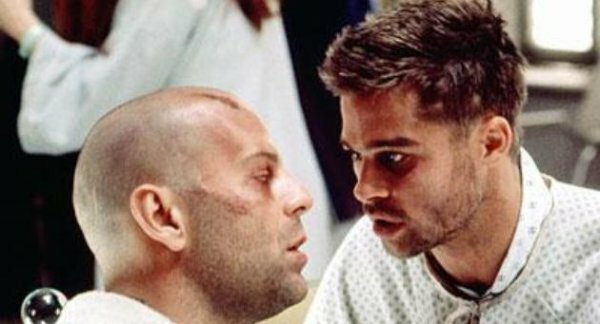 In Twelve Monkeys, Bruce Willis’ James Cole tries desperately to prevent the disaster while leaping back and forth between the 1990s and his present (our future). Incorporating Gilliam’s unique style and plenty of surprises, it does justice to Chris Marker’s vision while expanding the story for a feature-length film. Although it’s basically just a white-knuckle chase movie, George Miller’s sequel to Mad Max almost perfectly depicts the hopelessness and desperation of the post-apocalyptic world. As the title character, Mel Gibson says little but gives a believable performance as the loner who hardly cares whether he survives. Taking on the risky job of transporting gasoline for people over matched by an unstoppable horde, Max becomes their only hope for survival. The chase sequence in the final act ranks among the best ever filmed and includes some genuinely remarkable stunt work. 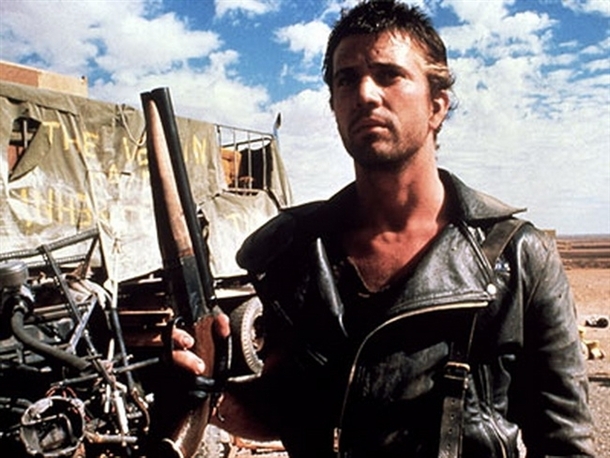 While it’s the not the deepest film thematically, The Road Warrior provides a truly visceral experience. I’d love to hear your thoughts about this list and suggestions for other great choices. Pretty good list this one!! I (surprisingly for me) have seen every one of them!! WOOHOO!! The Road Warrior/Mad Max and Escape From New York both occupy my list of shame, sadly. Somehow they were not part of my childhood. Great to see 28 Days Later & The Road get a mention. 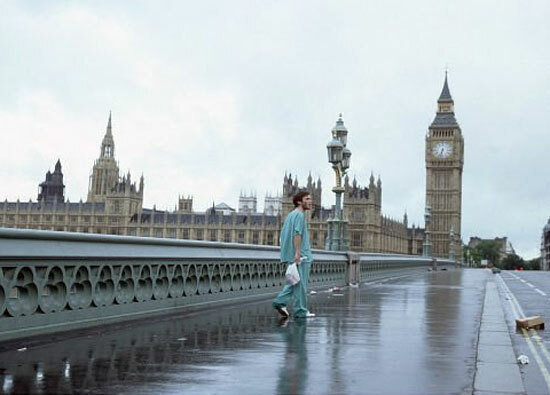 Did you see 28 Weeks Later? What'd you think of it? I did see 28 Weeks Later a few years back. I liked it, especially Robert Carlyle's performance, but didn't think it was as strong as the original. It's not entirely the filmmakers' fault, though, as it would be really tough to top it. You're in for a treat with The Road Warrior and Escape for New York. They'd make a great double feature. Nice list Dan. Glad to see The Road at least get an honorable mention. 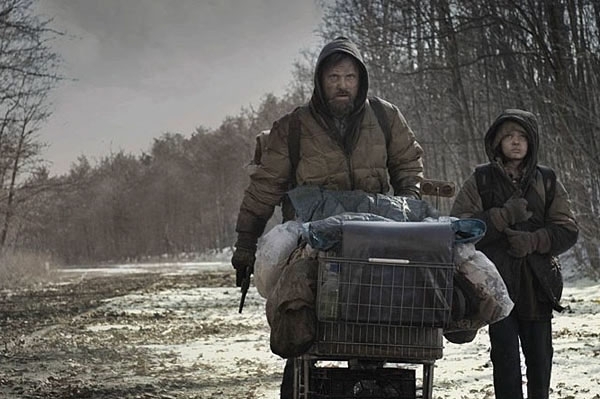 It's probably the bleakest and maybe most realistic post-apocalyptic movie ever made. Thanks Castor. I can't say that I'm ready to revisit The Road in the near future, but it's an original achievement for sure. It's definitely realistic and doesn't paint a rosy picture of a post-apocalyptic future. As a general rule, I love apocalyptic movies, though so many of them screw it up. That said, I really dig a lot of the choices you've made here. My biggest sin is still having yet to see The Road Warrior. I finally caught up to Mad Max some months back, but Netflix streaming doesn't have Road right now, the bastards. 12 Monkeys us a great choice - the funny thing is that it almost feels like a cheat since so much of the action takes place in the present. By that account, you could argue a place for The Terminator as well. Dylan, there's a perfect example of why I'm dropping the Netflix streaming. I was able to get the Road Warrior Blu-ray without a problem, and their Instant Viewing is missing too many titles. You're right about 12 Monkeys, though I think it's different than the Terminator because the main character starts in the future. In The Terminator, Sarah Connor is in the present and comes into contact with a person (and robot) from the future. I love Road Warrior, but Children of Men has continued to grow on me and I have watched it three times now. I gave it one of my rare five stars out of five ratings when I reviewed it on my blog. (The building sequence impressed me even more than the car sequence.) I would have a tough time picking between the two.